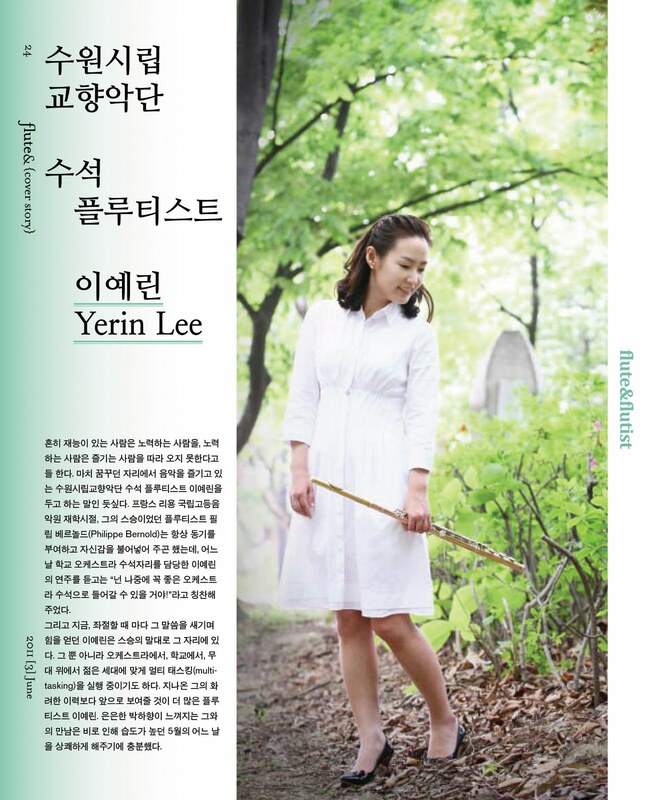 Yerin Lee, The Principal flutist of Suwon Phillharmonic Orchestra, had fully furnished the triangle of exceptional human performance! Obtaining great results is a combination of “Talent” and “Effort”. But can't nobody overtake "Enjoying". 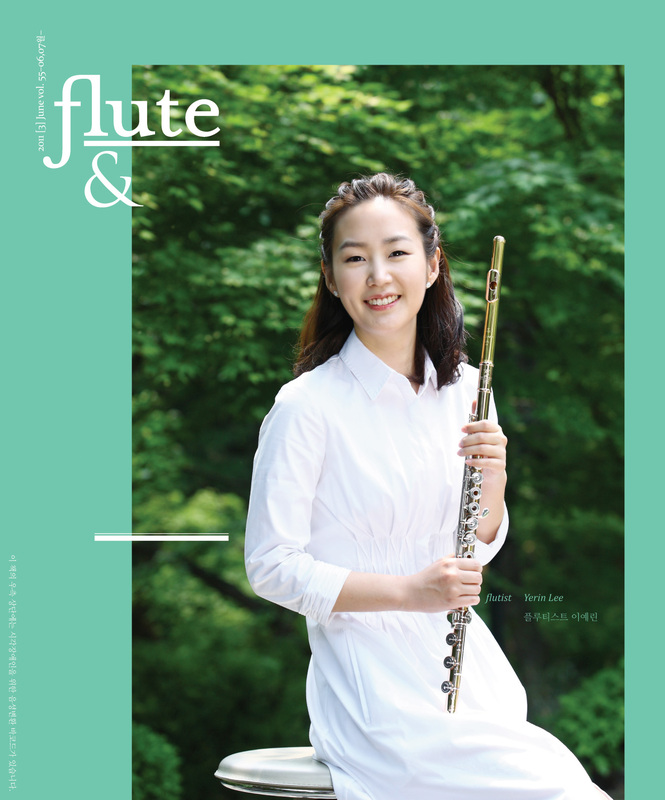 * Flutist Yerin Lee, winner of the Gaston Crunelle-Wurmser, Picardie, Leopold-Bellan, and Seoul Young Artist Competitions, has given solo recitals and performed chamber music and orchestra concerts in Europe and Asia’s leading concert halls. Following training at Korea’s Sun-Hwa arts school, she studied in France, where she earned first prize at the Conservatoire National Superieur de Musique de Lyon as a student of Philippe Bernold. She is also a graduate of the Meisterklasse at the Hochschule fuer Musik in Munich, where she studied with Andras Adorjan. She currently plays as principal flutist in the Suwon Philharmonic Orchestra and teaches at University of Seoul, Chung-Ang University, Sang-Myung University, Suwon University and Sun-Hwa arts school. 흔히 재능이 있는 사람은 노력하는 사람을, 노력하는 사람은 즐기는 사람을 따라 오지 못한다고들 한다. 마치 꿈꾸던 자리에서 음악을 즐기고 있는 수원시립교향악단 수석 플루티스트 이예린을 두고 하는 말인 듯싶다. 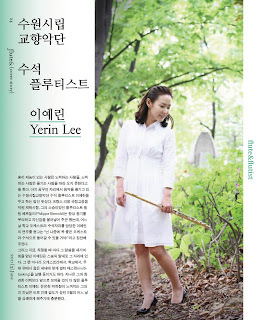 프랑스 리용 국립고등음악원 재학시절, 그의 스승이었던 플루티스트 필립 베르놀드(Philippe Bernold)는 항상 동기를 부여하고 자신감을 불어넣어 주곤 했는데, 어느 날 학교 오케스트라 수석자리를 담당한 이예린의 연주를 듣고는 “넌 나중에 꼭 좋은 오케스트라 수석으로 들어갈 수 있을 거야!”라고 칭찬해 주었다. 그리고 지금, 좌절할 때 마다 그 말씀을 새기며 힘을 얻던 이예린은 스승의 말대로 그 자리에 있다.